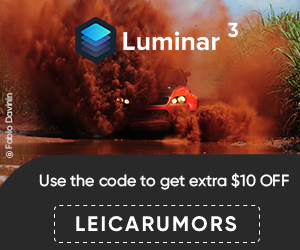 « How about a Leica digital rangefinder without LCD screen? The new model is priced at $7,950 and is currently available for pre-order in black and silver chrome. 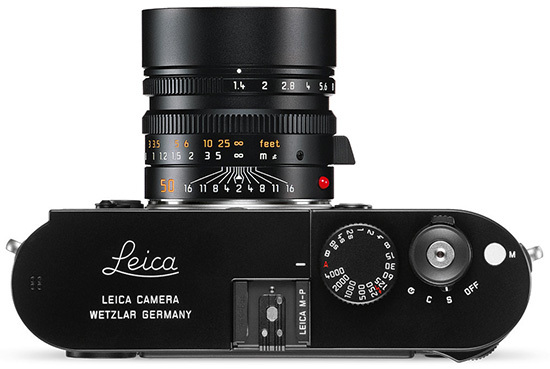 Update #1: the price of the regular Leica M 240 camera will be going up on September 1st, 2014. Update #2: the new Leica M-P is also available for pre-order at B&H, Leica Store SF and Adorama (black and silver chrome). The large buffer size of 2 GB makes it possible to shoot up to 24 images in full continuous speed of 3 frames per second. With such a buffer size, the new Leica M-P is ready to shoot at almost anytime, thus, the ‘decisive moment’ is never missed. 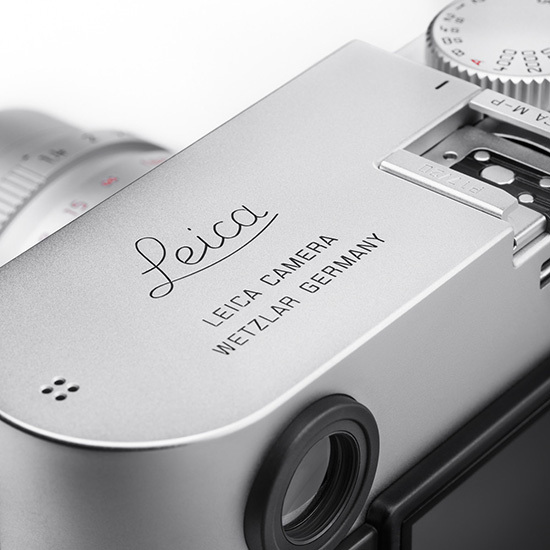 The Leica M-P in silver chrome finish will be available from next week while the black paint finish version will be available from mid-September. There are new protectors and ever ready cases designed for the the Leica M-P which will be available from mid-September. The new case designs will accommodate the frame selector on the M-P. Current protectors and ever ready cases cannot be used with the Leica M-P. Other technical accessories such as the multi-functional handgrip M, electronic viewfinder EVF 2, R-Adapter M for the M (Typ 240) can be used with the Leica M-P.
Leica Camera AG, Wetzlar, presents a further model in the Leica rangefinder camera segment. Based on the otherwise identical Leica M, the Leica M-P offers all the technical advantages of the Leica M-System and several additional features, for example an enlarged buffer memory. The ‘P’ in the name of this camera indicates the particularly discreet and enduring design concept with which the Leica M-P joins the line of Leica M-Cameras conceived especially to fulfil the needs of professional photographers. The buffer memory capacity of the Leica M-P has been increased to 2 GB – twice the size of that of the Leica M. This guarantees that the Leica M-P is immediately ready to shoot in almost all situations. This is a particular advantage when shooting pictures in rapid succession, as the image data needs to be buffered directly after the shutter is released, before writing to the SD memory card. This means that users can now react to events with even greater spontaneity to capture the decisive moment in almost every photographic situation. In terms of design, the Leica M-P is based on the typical characteristics of the Leica rangefinder system and focuses in particular on robustness and a long product lifespan. The use of an extremely scratch-resistant sapphire crystal cover for its LCD monitor is one example of this. This material is so hard that it can only be worked with special diamond cutting tools and is one of the world’s hardest materials. In practical terms, the sapphire glass LCD cover is almost unbreakable and offers resistance to many kinds of wear and stresses, meaning that the camera is ideally equipped for many years of use. Thanks to an anti-reflective coating on both sides of the cover glass, image reviewing is now even better, even in difficult lighting conditions, and allows photographers to assess and check every subject with optimum precision both before and after exposure. The unobtrusive and minimalistic look of the Leica M-P provides even greater discretion in decisive shooting situations. Many photographers who already use Leica M-Cameras actually tape over the red Leica logo to make their work as unobtrusive as possible. For precisely this reason, this identifying feature has been omitted from the new rangefinder camera. Instead, the top plate of the camera is engraved with a subtle Leica script. 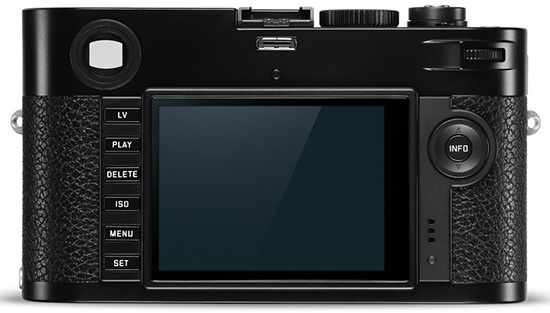 Other new details of the camera include a frame selection lever with which bright-line frames for six different focal lengths can be projected into the viewfinder to simulate subject framing. The corresponding frames are shown in pairs for the focal lengths 28 and 90 mm, 35 and 135 mm or 50 and 75 mm. This avoids the need to change lenses to assess suitable subject framing, offers greater creative freedom and allows photographers to concentrate fully on composing their pictures. The Leica M-P is available now from authorised Leica dealers in two different versions: a black-paint version and a traditional silver chrome version. 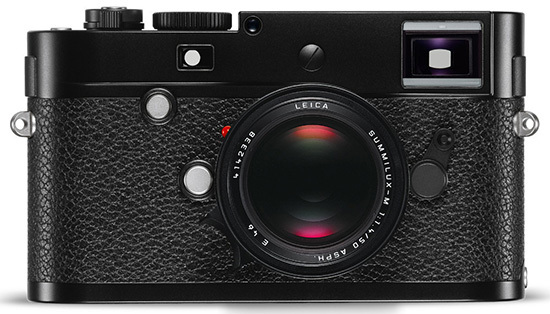 The Leica M-P complements the Leica M. Both cameras will be marketed together. This entry was posted in Leica M-P Typ 240. Bookmark the permalink. Trackbacks are closed, but you can post a comment.